This year, I’m going back-to-basics and shopping for those essentials you always need, but never really want to buy for yourself. They’re the luxurious items that’ll elevate your everyday life that little bit more. My most fashionable friends will be receiving updates for everything from home to wardrobe to beauty essentials. Oh! And I think I might pass this list onto my family for me, too! Keep scrolling to see what I’m shopping for this Christmas. 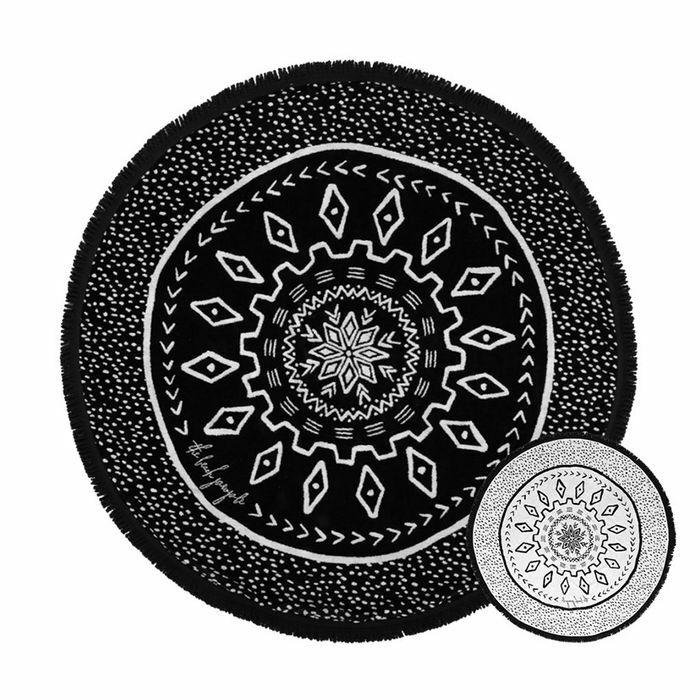 I received this round beach towel last Christmas and it completely blew my mind. Great for the beach, pool and the park—and big enough for sharing. The beauty gift that will make all the women in your life extremely happy. Everyone needs this in their beauty bags, especially to create that perfect summer glow. Fashionable and practical. Nothing beats an Oroton umbrella. A candle with a difference! I’m all for giving and receiving candles for birthdays and Christmas, but this giant Diptyque candle will stand out above the rest. Love this luxe scent! The roll on travel size is perfect for the handbag. An ideal stocking stuffer anyone would be happy to receive! Plus, personalised everything is THE way to go. Earrings are this season’s jewellery hero, and the best part is you don’t need to know any sizing info. I’d be happy with any of Natasha Schweitzer’s designs! This wallet is on my list too! Compact enough to fit into all bags, big and small, but without skimping on the card room. I love a unique gift that has function. This little concrete planter is the perfect gift to give life to the home or office. Get them organised with a classic diary. This is the perfect simple black tote and a great gift, especially when you can personalise it with their initials. Matteau swimwear is the classic and effortless swimwear label of our dreams. What are you buying your friends for Christmas? Let me know in the comments below!